As a student at Seton Hill, you're not just a number. So why should your tour be any different? 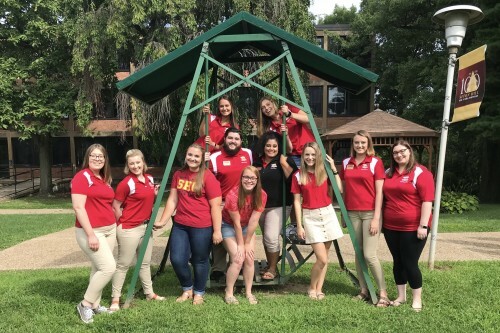 Our tour guides, known around campus as "Griffin Guides," are here to make your Seton Hill campus visit personal, informative and, most of all, fun! 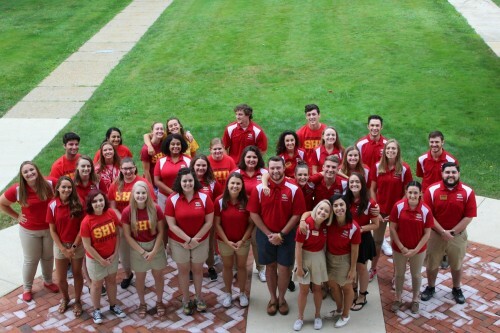 Griffin Guides are students, just like you, excited and prepared to show you what makes Seton Hill special. Wondering what life is like on campus? 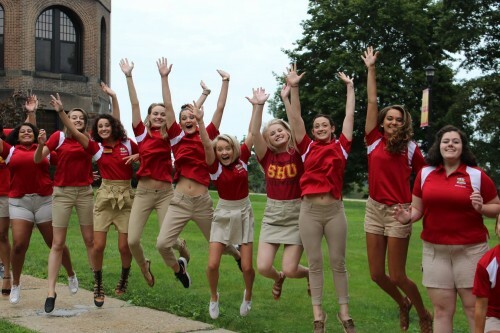 They're here to share with you how they made their college decision with Seton Hill, why they chose their area of study and what makes campus feel like home to them. Just look for the red polo, and they'll guide you in the right direction! 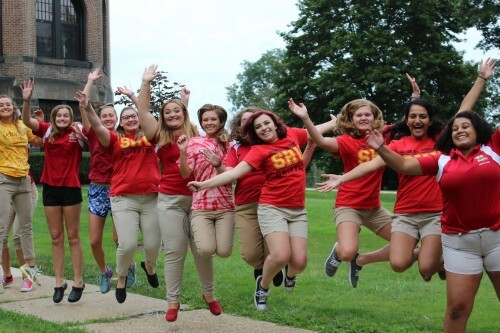 If anyone knows Seton Hill, it's the Griffin Guides. Let them share their Setonian experience with you, schedule your campus visit today! 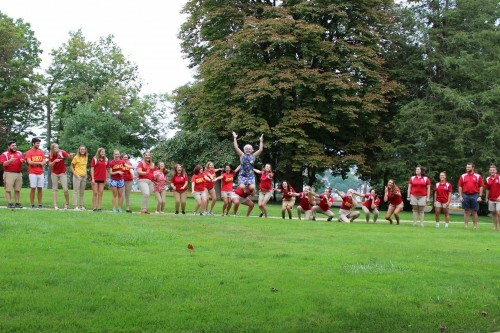 2018 Senior Griffin Guides during their August retreat week. 2017-2018 Griffin Guides preparing for summer training. 2017-2018 Griffin Guides at summer training. Jumping for joy as a new year of tours begins! 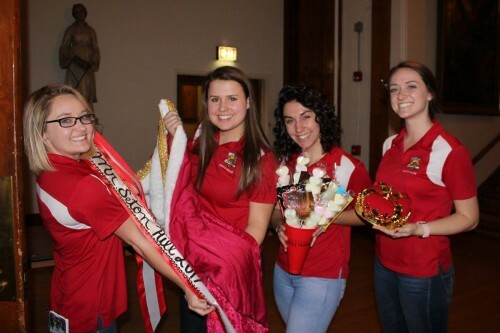 The 2016-2017 Griffin Guide Executive Board preparing for the annual Mr. Seton Hill competition. 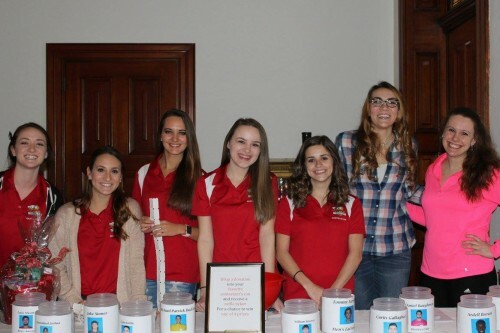 Griffin Guides canning at the 2017 Mr. Seton Hill competition.